THIS Christmas thousands of pounds will be spent on brand new games and toys for children around the UK, but how many will set those children up with core skills for life? Author, passionate financial education campaigner and father of two, Rob Gardner, has invented a brand new card game which aims to do just that. Silly Monkeys teaches four to seven year olds critical concepts about money that the creator believes will give them the best chance at being financially secure in the future. Gardner was inspired to develop the game after searching high and low for a fun children’s activity that would teach his two daughters key financial concepts in a fun way. Unable to find anything on the market that specifically broke down and taught the foundations of good money habits, such as budgeting and saving, he decided to develop his very own game. 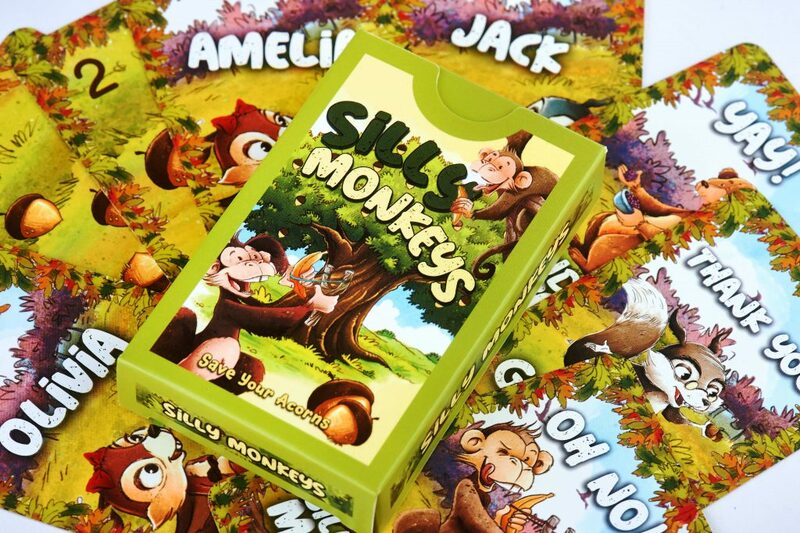 After months of trialing numerous ideas and formats, Gardner came up with the two to four player card game Silly Monkeys and is launching it as a last minute stocking filler just in time for Christmas. Silly Monkeys brings back much loved characters from Gardner’s successful financial education book, Save Your Acorns, which he wrote in 2016 after being unable to find any books for his daughters on the topic. The aim of Silly Monkeys is to help your squirrel store more acorns than your opponents in a sustainable way and avoid the Silly Monkey that encourages players to eat all their acorns at once! The moral of the game is that if you work hard and save your acorns, you can make sure that when you need resource – i.e. money – you will always have a healthy supply. Silly Monkeys – the gift that keeps on giving will soon be available on Amazon for £5, with 30% of each sale being donated to RedSTART, the UK charity dedicated to financial education among primary school children. This charity was founded by Gardner to help put young people in control of their finances through impact-measured, classroom compatible lesson plans, and aims to educate 1 million young people about money by 2025. And remember to…. save, eat, share and collect.